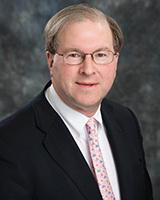 Experience in financial reorganizations and disputes covers the waterfront, including lead counsel to debtors, secured creditors, trustees, indenture trustees and various creditors committees and a legal representative in a major asbestos case covering nearly 10 years. My role has been significant in major cases across the country, including various mass tort and asbestos cases. National Gypsum Company, Counsel to Legal Representative, appointed Legal Representative in August, 2000. Babcock & Wilcox Chapter 11 (represented nuclear exposure plaintiffs). Various pending asbestos-related Chapter 11 cases, including Owens Corning, NARCO, DII and Dresser, Harbison-Walker, Swan Transportation, A.P. Green and M.H. Detrick (representing interests of plaintiffs). Braniff Airways (secured and publicly traded bond committee counsel). The Consolidated Companies (committee counsel). Continental Airlines (indenture trustee counsel). Southland Corporation (indenture trustee counsel). America West Airlines, Inc. (counsel to the indenture trustee, who was also chairman of the creditor’s committee). Partners Oil Company (equity creditor committee counsel). MJDesigns, Inc. (lead debtor’s counsel). Published numerous articles in the debtor-creditor area, including Creditor and Consumer Rights in 45 Southwestern Law Journal 1553 (1992), Annual Survey of Texas Law and 46 SMU Law Review 1187 (1993). Contributing author in Creditors Rights Handbook, a guide to the Debtor-Creditor Relationship, and co-author, Collier Handbook for Trustees and Debtors in Possession, a Mathew Bender & Company publication.